If you’re looking for freelance projects you can work on at home you’ll probably have come across some of the many Freelance websites listing project opportunities, such as Elance, Freelancer and oDesk. There are plenty of sites to choose from but they all basically operate in the same way, with employers listing details of their projects and freelancers competing against each other to submit the best proposal and win the work. 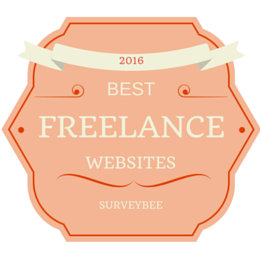 The freelance site make their money by taking a slice of the project fee (generally somewhere between 3%-12%). Your proposal will include your fee rate for the job plus information about your skills and experience, aimed at convincing the employer you can meet their requirements. If you win the work you’ll then need to communicate via the website’s project management systems to ensure you deliver what the client wants within the deadlines agreed. Once the work has been signed off by the client you’ll receive your payment. There are differences in exactly how the various freelance sites operate, what sort of projects they tend to have listed and how much of a slice they take of the overall fee, so it’s worth doing a bit of research to choose which is best suited to you. Whichever site you do choose, and actually you might as well register on several, here are a few tips to help you make the most of them. Understand that it’s a worldwide market so you’re bidding against potentially a lot of people who may be willing and able to work for much less because of the low costs of living in their part of the world. Work hard to make your profile, portfolio and project bids excellent so that you can stand out from the crowd and convince clients you are worth paying for. If you attempt to win purely based on price you won’t stand a chance against those who can afford to bid at the lowest levels. Take the time to work out the best way to search the site and what type of projects you are targeting. There are thousands of jobs available and you can easily waste days searching the sites and trying to choose which ones to bid on, especially if you are only allowed a limited number of project bids per month. Work out how to filter searches on the sites you are using. Be aware that while an anticipated fee rate may be posted for the job by the employer other freelancers may bid below that rate to try and get the work. Before stumping up for optional extras such as subscriptions, highlighted listings and so on think about how much you would likely to earn from a project and how many jobs you would need to complete to make the outlay worthwhile. Be prepared to carry out a few loss leaders where you don’t earn much just to get your portfolio built up. Once you have successfully completed a few projects and had some great feedback you can start to increase your rates and be a bit more picky in what you apply for. Record all transactions and communication with your clients, especially new ones, in case of later disputes. Like any work project, make absolutely certain that you are clear on what the client is expecting. Iron out the details and get the specifications and deadlines in writing so that both parties are covered. If things require further clarification as you go along keep well in touch with the client. Most of the disputes and payment issues that occur are caused by a lack of clarity between freelancer and employer about what is expected. If a client starts to ask for too much, beyond what you’ve agreed, don’t be afraid to say no but do so calmly, giving reasons and maybe suggest what additional fee you would charge to complete the extras they are asking for. Remember that you want your clients not only to approve your payment but also to use you again and, very importantly, you want them to provide positive reviews of your work which will help you secure other projects. Treat them exactly as you would a face to face client; keep them informed, update them on your progress, communicate in a friendly professional manner, and respond quickly and positively to their queries and feedback.